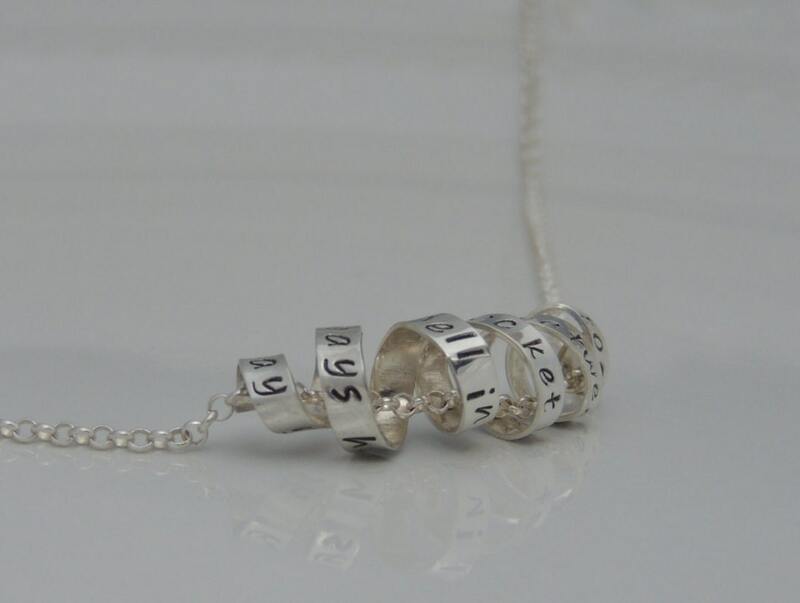 This necklace features a beautiful hand spiraled pendant that is hand stamped with your choice of saying. 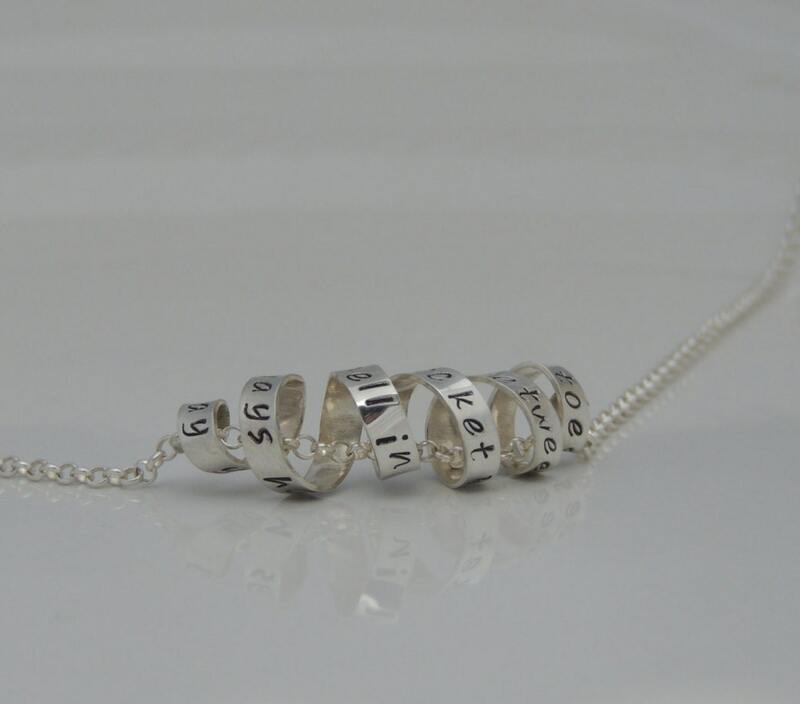 Choose any saying, names or text up to 65 characters. 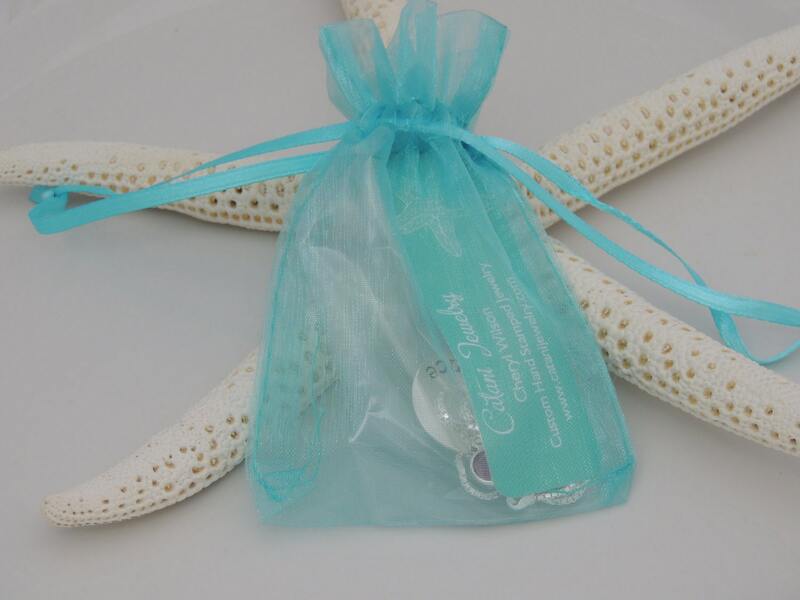 The pendant is made of solid sterling silver and measures 1/8" in width. The sterling spiral pendant pictured in this listing measures 1/8" x 1-3/4" finished. The text in this listing is 56 characters. All pendants will not be shorter than 1-1/2" regardless of text as to keep the pendant resembling the pictured pendant as closely as possible. 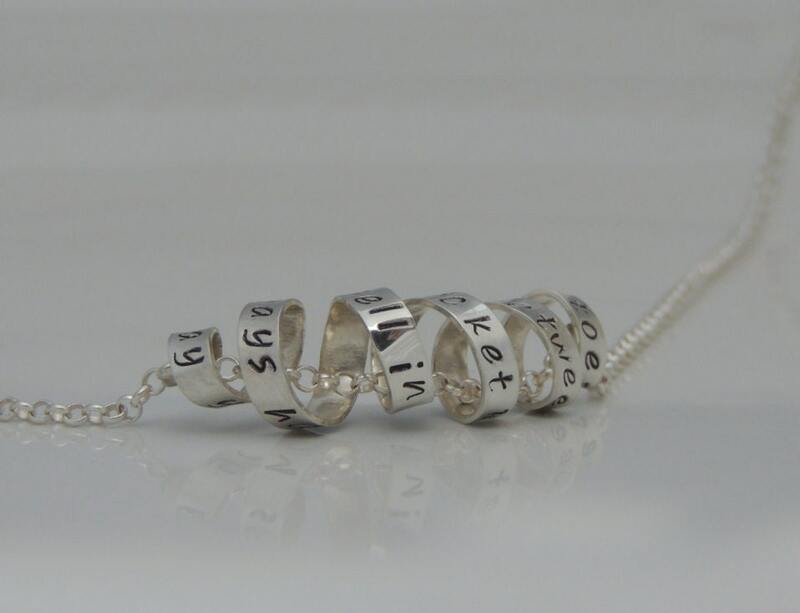 This necklace is available with the following sayings or your custom text, Please choose your saying from the drop down menu at checkout. If choosing the "custom" option, please see the ordering instructions below. Thank you. When ordering custom text, please specify the following in the "notes to seller" section at checkout. 3. 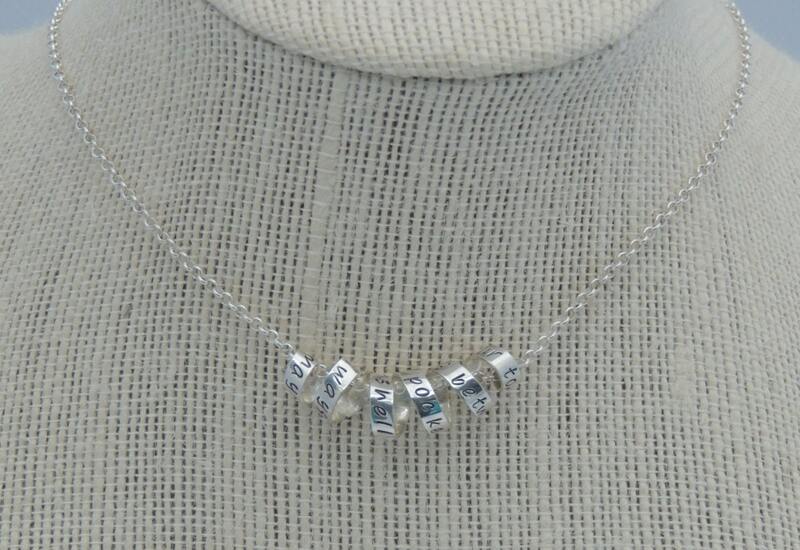 Length of necklace - 16", 18", 20", 22"
Love it! Fantastic necklace - just what I wanted!! Quick turn around too!!! I have yet to see this item because it was delivered to my friend, but she absolutely loves it!